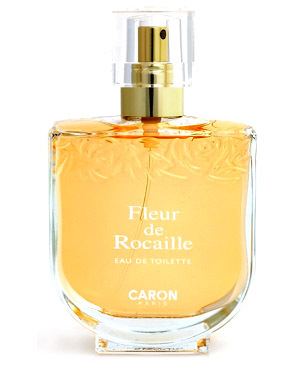 There are 16 reviews of Fleur de Rocaille. This review is for the EDP. This scent seems to be a reformulation of the original 1933 Fleurs de Rocaille. They shouldn't have bothered. The original was perfect. My EDP sample is a heavily indolic floral, with none of the finesse of the original. It also contains a repellent plasticky note which was not present in the original. Why Caron should have felt the need to put out a modern style bitter syrup floral is understandable in terms of covering all the commercial bases - even if their offering mainly stands out from the rest by the way it smells so horrible and synthetic. But why they should have named it Fleur de Rocaille when they already had a (hopelessly out of date) wholewheat cake and rose affair called Fleurs de Rocaille is deeply baffling. Purchased a bottle of this untested on the off chance as I like most of the earlier Caron's and appreciate the quality of raw materials & essences used by this perfume house, Thankfully my intuition paid off. The floral top and heart notes are so very complex, at first I detect violets, (leaves & stems) carnations and roses then after a brief sparkle of aldehydes the blend becomes even more complex with the entrance of gardenia ? jasmine, honeyed mimosa and two of my favorite floral absolutes Lilac & Lily. The quality of the iris (orris) is exquisite giving the whole fragrance a slightly 'figgy' dry/green fruity accord finishing with just a hint of woods (santal&cedar) + golden amber. Superb staying power and incredible sillage, also this Caron doesn't assault the senses with strong synthetic musks, milky lactones & cloying vanilla esters. Certainly not everyone's cup of tea and totally different to her older sister with the 'S' *Fleurs de Rocaille* but that's OK. I "LUV" this unusual 1993 offering from one of perfumery's most exhalted houses. 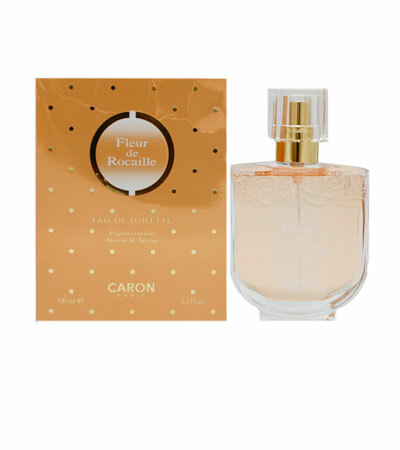 *Fleur* & Fleur's de Rocaille in my opinion are completely, totally & utterly two different perfumes ! It's so confusing that the header photo at the top of the page is clearly the image for the original Fleur's circa early 1960's, is it really that difficult to disassociate these two fragrances? obviously not! Taken as is, this is a decent floral. It goes on with rose and violets, making way for lilies and tuberose, and ending up as rosy orange blossom. It's soapy and there's just a tiny hint of plastic in the background from the aldehydes. If compared to the grand floral chypres by which this is inspired, it can come off as simple and loud, but it's still miles better than the strawberry candy bombs that pass for perfumes today. If you enjoy big, insistent 80's florals like Estee Lauder or Giorgio, then Fleur might just be a great fit. Neither grand nor terrible, it's just a proud, soapy mix of flowers and that's OK by me. Glaring, raucous, loud and cheap - this is a floral medley from 1993 that smells like the proverbial "old lady" perfume and a tiny bit of it gives the impression you've bathed in a tub of it. Very sweet, overpowering and most unpleasant. If I didn't know Caron better, I'd believe it was a joke played on an unsuspecting public. There are no member images of Fleur de Rocaille yet. Why not be the first?